Ever since our family made the move out of the city into the country, life here at the ranch has been in constant growth and change. Chickens, dairy goats, and meat birds came quickly. But our gardening efforts were slow and challenging (as I shared with you here last summer). That was until, we planted a fall garden (Arizona’s best growing season) using High Mowing Organic Seeds. WOW I tell you…just WOW! And the more I learned about the company, the more I fell in love! I was super impressed to learn that The Safe Seed Pledge was created in 1999 when High Mowing Organic Seeds guided a coalition of 9 other seed companies in drafting a statement about the signers’ stance on genetic engineering. They were the pioneers of GMO-free home garden seeds! At High Mowing Organic Seeds, we believe in re-imagining what our world can be like. We believe in a deeper understanding of how re-built food systems can support health on all levels – healthy environments, healthy economies, healthy communities and healthy bodies. We believe in a hopeful and inspired view of the future based on better stewardship for our planet. Everyday that we are in business, we are growing; working to provide an essential component in the re-building of our healthy food systems: the seeds. High Mowing Organic Seeds are the ONLY seeds that my garden will ever see! So…you can imagine how honored I was when High Mowing contacted me for blog sponsorship and a giveaway for Frugally Sustainable readers! I am just beyond excited to offer this prize! It’s super easy to enter the giveaway. winning this would make it possible for me to have a home garden! Thank you for this opportunity! We don’t have many resources for fresh, organic food here so growing it on our own is very important to us. It would help improve our backyard garden. Keep hoping to have better luck with it each year. We love growing our own food. You’re awesome. This would help get my container garden going! Thanks for the giveaway! First big garden this year and I need all the help I can get! I’m excited for spring. Organic seeds are the next step in our sustainable/frugal/healthy life. I am starting my own garden this year and need supplies! This would help me out so much!!!! I am an avid organic gardener and am excited to try High Mowing Organic Seeds. Great contest. I would love to win. I need to get started growing my garden. I’m just starting to really garden vegetables for the first time and l want to try so many new things. I’ve also been unemployed for 6 months and it’s really hard on a limited budget. I’m committed to organic and non-GMO gardening and High Mowing has been recommended to me by a friend also so I know it will be quality items. I need all the help I can get! I would love to get my backyard garden FLOURISHING! We are still early in our garden journey. Winning would give us the opportunity to continue learning, teaching our kids, and increasing our garden. We always enjoy trying new seeds! This would be a blessing to our big family, it would definitely help our family jump start this year ! Thank you for this giveaway! What a great giveaway! Thanks, I would like to grow more and different herbs this year! This would honestly help me be able to feed my family wonderful organic produce all year, as I would can any extras. This would make spring amazing! Would really like to start a garden for family since we can’t get organic foods readily or inexpensively. I am always looking for good sources of gardening seeds and info. This would be an amazing addition to my garden. i love growing my own food, especially organic stuff, so this is right my alley!! This prize would help keep me garden going year round (I live in Southern California). It would allow me to experiment varieties that I are unfamiliar to me, ones that that thrive in S Cal summer & ones to grow in our mild winter. We are new to CA–came from NJ and it is like learning to garden all over again. You wouldn’t think it is that different but it is. Especially hard to get tomatoes like NJ grows. this would be great in helping me teach my children how to use land for food and beauty. they would enjoy the planting of a vertical home garden because we live in a rental house. the fact that it is organic would be beneficial to my daughter who has autism. I want to eat healthier so much… seems that cheap white rice and $5 spring mix is where I’m at right now. This would put me ahead so far! We’re starting our first garden this year, and this would be so helpful. Love having an all organic garden! I would love to try the organic seed collections. Getting quality organic seeds can be a challenge. Thanks for introducing me to this fabulous company!!! This would be helpful to start my garden this year. I would love to start a medicinal herb garden this year! I am starting anew in gardening, moving from Canada to the Midwest. Love this prize! Makes me believe warmer weather is on the way! It would help to fill in my current garden. Love that the seeds are organic.! Thank you for opportunity to enter this wonderful giveaway. Having the seed starter kit would help me get a jump start on my plants! I love organic gardening and would like to learn more! winning would help me switch to organic gardening! The seed starter kit would save so much time in getting the garden started! IT would help me to get a good size back yard going for my canning and food preservation!!! Thank you! What a fantastic idea to encourage more organic gardening. Didn’t know about this company. I plan to go back and spend more time on their site. A little bit of this, a little bit of that. A really good giveaway. i would love to get my garden started! thanks!! My gardening efforts in Oklahoma have been less than stellar. It’s very different from our former home in Michigan. Getting my seeds off to a great start in the Seed Starting Grow Kit would sure help! I would use the store credit to buy seeds that will grow well here in the South. Thanks for a great giveaway! Haven’t purchased my seeds for this year yet, so this would save me some money and I’d be getting seeds that I know for sure are non GMO. Oh boy! Winning this would help me offset my grocery expenses and give me more tools/info to work with for years to come. I can never have enough gardening help! Each year we add to our garden even with our very limited space. This would help with starting our seeds! This will help me a lot, not only in the finances, but in the knowledge. Thanks for the opportunity! Unable to find certain organic bedding plants from our local plant nursery and need to start/grow my own bedding plants via a seed starting system. This would great help! My children would love to start some seeds indoors this season. Thanks for the chance to win! We have a small garden and have been afraid to start off with seeds instead of plants. The quality of these seeds seem outstanding and would love to try them. This would help on the path to a better garden, a better lawn. We moved last year and this year would be my first year gardening at the new house in a somewhat shady backyard. This would help me TREMENDOUSLY! This is awesome. The boys and I have been wanting to grow a garden and have had some false starts. They would be so excited if they got to pick out some of the seeds, and I know I could get them to eat more of the veggies if they got to help and watch them grow. This would help us so much because it would give us access to things we would love to have but are unable to financially. We have one small raised bed garden with some peas in it. That is it though. We would absolutely love to grow more things!! To get back to our own gardening efforts! Really knowing where our food source is coking from while saving money! I have a small raised bed garden that I started last year but feel as though I have a black thumb. I would love to be able to try again this year with these quality products. This is such a nice give away. Can’t wait to get back in the garden. This would be the most appreciated gift for our family this year! We love to garden and untimely events have made finances very tight this year. I love this company and wouldn’t order anywhere else! I feel I’m giving my family the best to offer with HMOS Company! I would like to start saving my own seed. The plants would adapt to my environment. Thanks for telling us about High Mowing Organic Seeds! I’lm new to gardening and this would make it less intimidating! I’d love to get my garden going again soon with this prize! This is awesome! I love that you get the opportunity to giveaway such goodness 🙂 I spent all week planning my garden. Its been a LONG GRUELLING winter and the thought of growing new edible life makes me giddy! Can’t wait to to start growing and finally get my feet back in the dirt! I’m going to try container gardening. Always looking for good quality organic seeds. Thanks for the opportunity! I just bought my home last fall and now the work begins. My plan in to clear the garden area and take down some trees for safety and light. I am new to gardening and am trying everything to see what works for us. Seeds are a much less expensive way of getting started. We’ve moved into an apartment and our balcony is shaded, but still gets sun in a corner. This is less expensive than buying starter plants, and will be a good science lesson with my daughters. I lovvvvve getting new seeds but then they need a home, so that requires supplies! Thanks for the opportunity! We are on a very tight budget, and we do organic container gardening on our back deck because we are not allowed to tear up the yard to garden as we rent. This prize package would help us greatly with our grocery bill because we would have fresh produce and herbs all summer long. This is just what I need to motivate me this spring! We are moving soon, and I have to leave my garden behind – this giveaway would really help me get started in the new house!! Thanks for the chance!! I need to expand my herb garden this year! This would be so helpful! Thanks for such a great opportunity to awaken so many to organic gardening, We always plant a little more than we think we will need, then share any extra in the packet. I have even been known to scatter a few extra flowers along the road *wink*. I love finding new varieties of organics. Spices and herbs are our focus this year. Thanks again! Winning this would give me the start to growing on organic garden. To teach my children to grow their own organic food! Our transition gardening zone makes it imperative that we start most of the garden indoors. And High Mowing Seeds has a wonderful selection of organic, heirloom, and hybrid (non-GMO!) seeds. Thank you for the opportunity to win some very helpful items! This package would help me start seeds better and grow healthier plants for my family and I.
I would love to win this. I want to start gardening again. I haven’t gardened for several years. The last time I had trouble with my tomatoes and some disease where they had black spots. This would be a perfect way to get our garden going this season. Always looking for organic, heirloom, and non GMO seeds. I know I’m going to WIN! I love to expand my garden and try new plants & seeds from new companies. Thanks for the chance! This would be a “kick start” on my way to gardening. Thanks for all you do for your viewers. I would use the kit to help my girlfriend start her backyard homestead, since I don’t have a yard yet. This would allow me to try new varieties from a new (to me) seed company. Experimenting is part of the fun of gardening. I’ve wanted to try to grow my own vegetables but haven’t taken the plunge yet. This would be great to get me started! Winning this would give me an incentive to start an organic garden containing some of the vegetables my kids and I love. We are moving to a home with some property this year and this will help me get my garden started! Your post came JUST in time! I was searching for organic, non-GMO seeds! Happy day! I can hardly wait until the catalog comes. Thank you for introducing me to this company. Thanks to the both of you for a perfectly timed & generous giveaway. Winning this would really help us get ahead on this year’s garden. Winning this would help me start my container garden on my deck since I live in the city. 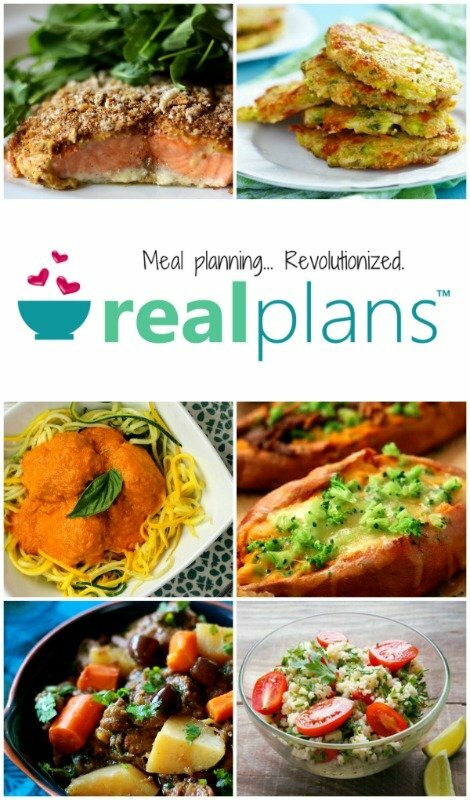 I have been wanting to try this for a while to help my family eat healthier!!! Even if I don’t win, I’m going to try out the seeds–slowly but surely we are trying to grow more food at home! This would help me to learn to grow food in small spaces and help n my ,family’s journey to better eating! Would love to use these seeds this year for my garden-we are expanding!! I’ve wanted to start container gardening for quite sometime. What a great way to get started!! We recently moved into an area that is a bit more difficult for gardeners. I am a beginner gardener but wanting to grow more food for our young family. Its very hard getting started financially with a garden so this would be a great beginning boost. Thank you for the opportunity! Plan on having a home garden for the first time this spring and this would help get it off to a great start. Awesome. When I lived in Vermont, we ordered all seed for our market gardens from High Mowing! We’re in the middle of buying a house, and will hopefully be able to move just in time to start planting things– it would be awesome to have a whole bunch of organic seeds to start our new garden with! These seeds sounds amazing! I want some! I am excited about finding a source for organic seeds–I do not want GMO products. Just looking at their herb collection is making my mouth water!!! Can’t wait to put my garden in. I haven’t bought seeds yet and feel behind! This would be perfect. I’d love to try out some new ones this year. I would like to try different varieties of vegetables this year. My family is military and we have had to move now three times in the last year and a half. We will get new orders soon and hopefully there is a space for a garden. I would LOVE to grow my own food. I hope I WIN! Would like to try these in comparison to my stero cups. Money has been tight around here. I would really love to get a medicinal herb garden established this year. This would help so much. Oh what a joy it would be to win a garden .. I could herbs and then enjoy them in the winter time ! Thanks for the chance to win ! Would love to expand my garden experience and win this awesome prize. I seem to always start over after freezing my little sprouts outside. This would let me get started early and not lose my hard work. The self-watering seed trays would give me better results with my seedlings, the book would give me good info and ideas, and the organic seeds would give me superior produce. This would be awesome! We’ve planted 4 of our six years here and this would help us grow all year. I would love to win this and be able to start this part of our sustainability! We are going to grow some this summer, but this would allow so much more! Thanks!!! Since both my husband and I are disabled and we are quite poor we do not have any extra money to buy seeds. He lost his job three years ago when I came down with a rare nerve disorder which has required two surgeries and endless procedures to try to fix. We are lucky that our public library has a seed library, which we have received a few seed packets through, but if we won this it’s feasible that we would be able to grow most of the vegetables and some fruit and herbs our family needs, at least for a good portion of the year! Despite being a disabled military vet my husband can still get projects like this done, so it would truly be a blessing for our family. Thank you! Just started gardening this year and would love to be able to plant organic seeds instead of whatever I find in home depot!!! Thanks! Winning this wonderful prize would certainly make it more affordable to get growing Thank you for the opportunity. Starting over in Utah so this would help. It would make it easer. Would like to win this…. Thank You…. Winning this would allow me to spend less on groceries. I try to get as much as I can afford every year, but sometimes even seeds are an extra expense that we just can’t afford. My entire family would benefit from not only the healthier eating, but also the togetherness that planting, maintaining, and harvesting brings. As a one-income family with a special needs child, it’s been very hard to try and eat healthier and lose all of the processed foods from our lifestyle. We’ve finally been able to purchase our own house with a large yard and would like to start our own sustainable garden and chicken coop. But money is tight… So this would really give us the help we need to get it off the ground. I want to be around a very long time for my children, and I want to pass along these skills to them so they can support their families in the future. And living in Louisiana, with a long growing season plentiful game to hunt year-round, there’s no reason they shouldn’t be able to do so. Also, I’m in search of the famous Louisiana squash, the Mirliton. It’s similar to the South American chayote squash, but those varieties are NOT the same and do not grow properly. Since Hurricane Katrina, these once common back-yard squashes are endangered and very hard to find. Would you be able to procure seeds??? I want to keep this Cajun tradition alive for my boys…. This would help me learn how to start my own plants instead of buying them. This is a great giveaway! I can imagine so many ways to get my gardening for the season started with this. I’ve been enjoying your website for quite awhile now, and always appreciate the wealth of information you make available. It’s my go-to site for so many things. You’re a blessing. Oh! And if I won the seed giveaway, it would give my daughter, little grandson and I a huge boost in making this years garden a reality! I’m so excited for Spring! Wow. This would be so great to have! My current seed starting flats are so old that they are cracked, split, and held together with duct tape, lol. And for seeds, I would get leeks, onions, and the like, as I want to sell them at the farmers market nearby. I LOVE that you have both kinds of leeks, European and Turkish! I love to home garden and this would be an awesome thing to win. Just like a lot of people, I am trying to get by on less income. I would love to be able to get organic Vegetable and herb seed to be able to grow our own food healthier and for less! It would help me because I am still new to gardening. This would help us have a bigger selection for drying and canning hopefully this year! I love that these are organic, non-GMO seeds! They have some really nice heirloom and disease-resistant varieties that look amazing! I love to grow my own herbs and veggies, and would absolutely love to win this fabulous prize! I have a black thumb!! I have tried for years to start vegetables and flowers before planting time and have failed miserably. I need help and I believe this system is the help I need. I definitely want organic seeds. Health issues are crying out for non-GMO! this would certainly help us out for gardening this year, since I recently lost my job! This would really help me increase my organic produce, improving my health in the process. I can’t wait to start some seedlings! This would help me start a garden, I do not have one. I’ve been thinking about my garden recently and this would be awesome! This year will be the first time I have ever had a vegetable garden in the ground. Before I have only used planters and with mixed success. Now I hope to get a section in a community garden and cannot wait to start planting some vegetables! Love this giveaway. Yesterday was spent cleaning out my raised beds and checking my container garden. Can’t wait to get start planting my tomatoes, melons, and peppers. I have faithfully tried to grow Organic anything in pots on my deck and in my sunroom….don’t get much!!! Sooooooo……OBVIOUSLY I need all the help I can get!!! HELP!!!! We have had a difficult time getting our garden to grow. I would love to try these seeds and finally have a harvest to sustain my family through the winter months. Very low budget = tougher time getting what we need for gardening. I would so appreciate this wonderful gift for our children and ourselves! This year is my first attempt at growing a garden, and an organic one at that! We are a very low income family of three, and I hope to provide enough to supplement our diets as much as I can, if not grow all of the vegetables we’ll need! Winning this giveaway would ensure a great crop for my family! Andrea is always teaching us new things about herbs, and creative ways to use them. I would plant a nice herb garden so I could put that knowledge to good use. Thanks Frugally Sustainable! I would love to branch out and try growing some new varieties in my garden. I’m really working toward creating a sustainable garden. I love High Mowing Seeds! I remember when they first started, and Tom himself delivered the seeds to the coop I used to work at. I want seeds that are adapted to our climate, and would love to start saving my own seed, so High Mowing’s seeds are a great step in doing that! Would love to have organic seeds to plant in my raised beds. I’m new at gardening and need lots of help. Thank you for the opportunity to sign up. Winning this gardening package would be great! I enjoy growing a vegetable and a flower garden every year. These seeds look awesome! It would give me more varieties to try! I’m new at gardening and I’m trying to learn as much as I can. We eat only organic produce and having our own garden will be very convenient and much cheaper! Winning this would be the push I need to plant a garden this year. We haven’t had a garden for a couple of years and I miss it. We haven’t had the time or space to get into gardening, but have been talking about diving in this year as a family. We’d love to win this! Winning this would be awesome! I am a full time student and part-time waitress. My gardening suffered last year as my school responsibilities increased. I am in my last semester and it’s become even more intense but I am determined to have a successful garden this summer! Gardening is very important to me and my family. I love to find seeds that are grown from plants worthy of our use! This is great! it would help get the garden started on our first year at our new farm. This whole gardening thing is new to me. Last year was my first time gardening. I have so much to learn, this years garden will be triple the size of last years garden. Hope it is just as successful as last years. I plan on keeping it organic and plan on canning some of it this year. My family is looking forward to starting our first family garden this year! Using great quality seeds would start us off in the right foot! This is my second year in getting a backyard garden going. I could use organic seeds for my garden and helpful gardening resources. Thanks for the giveaway. I would like to start a herb garden. I do a lot of cooking with herbs and if I could grow them it would save a lot of money on the grocery bill. This would be a great way to start my garden right this year! Thank you for all of your fabulous ideas and giveaways. I would like to start something growing in the front yard this year. I also home to get a raised bed built in the backyard surrounded by lots of lowers! I would love to win this! I am not a very experienced gardener, but we have plenty of space for a good-sized garden, and I would love to have fresh veggies for my family right in my back yard! I have a backyard with very little green space, so I am hoping to build some containers to garden in this summer. This would really help, especially the book you all are offering! I have so much to learn in order to become an effective gardening. I do a little every summer, but don’t usually produce much. Need to learn more! Organic non-gmo non-hybrid (can save seeds) would be an awesome start to my expanded garden. Have only done container tomatoes and cukes so far. This would be a great help for me to starting seeds! i have collected seeds for a couple years but I don’t have much success in starting them! Spring cannot come soon enough here in the midwest!!! I have to start it in my basement! I have grown gardens before and truly enjoy being outside even in the Arizona summers. We moved into our house and it seems I am way over due getting my garden going. I’ve prepared my plot, compost composting, organic dairy for manure lined up, now all I need are my seeds. Boy would I be excited to win this one! I’m wanting to use organic seeds as much as possible. We are working very hard to become better gardeners and could use a new variety of seeds. Thanks! I would have a patio garden this summer! Our garden pretty much failed last year, due to trying to use old seeds. Hopefully using fresh ones will give us what we need to grow something we can eat — and with organic seeds. we have a short growing season in michigan for the home gardener. i would use this kit to help me select the best options for my area and light availability and to get the seeds started in time to get them planted and ready to harvest yummy summer veggies and herbs! I would love to move from a garden that is established with plants to one that is grown from seed. Every time I try to start from seed I fail. I would love to start with organic seeds and a healthy seeding system. We are developing a property and planting is essential to the large property. We promote to our clientele our resources during events held. Any additions are helpful in our journey. Winning this would help me tremendously. I’m a full-time RVer and I grow an extensive container garden each year. I like to show people what you can accomplish with just a little bit of space…and with reusing different containers, as well. What a great way to get started in a more serious gardening endeavor, for true sustenance rather than pleasure alone. This looks like a great giveaway. I would love to find heat resistant seeds/plants for SW Kansas. We don’t have many fresh vegetables and no organics. This year I am going to be trying grow a garden in a much smaller area (my backyard) using both conventional techniques and hydroponics/permaculture so using organic seeds would be a great way to ensure a disease-free start to my garden!!!! I sure could use this start!!!! Winning this would help me get some appropriate seeds for our southwest climate and also the cover crop seeds would help to build our soil. We are on GAPS so beet seeds would also be a must to grow our own beets for Kvass. I am the “rancher” (chickens & bees so far) and hubby is the “farmer”. This would help so much in our greatly expanded garden. This would enable me even further in my overambitious organic gardening efforts! I’m going to try growing in straw bales this year, and these seeds sound great! Thank you for the chance to enter this giveaway! I have a large family and we preserve our garden produce to supplement our groceries all year round. I’m always trying to find ways to be frugal so that we can afford the best seeds for the best food! This would be a great boost to us! Thanks for the opportunity! My family recently moved to a new home so this year I will be starting my garden from scratch. These seeds would be tremendously helpful for this. I would o plant a medicinal herb garden and so organic food too. Thank you for allowing me the opportunity to join in the chance for the give away. I would so love to grow a LOT of organic mescalin baby lettuce. I use organic vegetables for my family and organic herbs in my soap making. It would be so great to win this so I can get started on my gardening early. I would like to have a small garden for when my CSA is not producing. I can’t seem to keep plants from big box stores alive. The seeds sound perfect for me to start fresh with a great product. Now that I no longer purchase veggies from a CSA, winning would help me start my gardening this year so that I can continue feeding my family wholesome organic foods. It would help us out by allowing us to grow organic produce & be able to can for winter. That way our grocery bill would be alot less. Having more seeds means more food on our table. Living way out in the country makes it difficult to find non-GMO seeds. Winning this set would sure help! I could eat clean knowing that no chemicals were put on my produce, less waste too and better quality! My husband and I bought our first house recently, and I’ve really wanted to start a garden! I found a raised bed for a couple dollars on a garage sale, borrowed a homesteading book from the library, and signed up for composting and rain harvesting classes (participants gets a free composter and a free rain barrel!!!!) through the county I live in. I feel like this would be the next step! I would be ecstatic to win! I appreciate finding a company that is diligent in making sure that their seed stock is non-GMO. This set would save me time, money, and energy in initiating my yearly garden. I’ve had a few containers going for two years and now my kids want to get in on the fun! I’d get to start my garden early in my new house! Winning this would make it possible for me to have a garden. I live in a small apartment & I can not have an outside garden. I want SO badly to be able to grow my own veggies! This is only our second year of vegetable gardening so this prize would help us get started. I never have much luck with starting seeds. Hopefully this would be the magic I need. We live near Monsanto, and I am always afraid that any seed we buy locally is contaminated. This would reassure me that we are actually getting organic seed. With 2 kids, winning a starter kit would allow us to not only enjoy an activity together, but would allow them to realize first hand the delight of watching something grow from seed, to plant, and then to harvest. Satisfaction in their efforts is the real prize. I would be able to plant healthy food for my family in my small little backyard. My 8 year old daughter and I love to plant and garden. We are just modest beginners and this prize would be a great start to our garden this year. Thank you! To win this prize would definitely be a boost to my garden plans for this year since I have not yet purchased my seeds and this would bring down costs for me tremendously. Then I would just need to purchase soil and containers! Awesome and timely giveaway!! I signed up for the company’s seed catalog. Can’t wait to get it. Thanks! I have already started planting garlic, onions lettuce all from kitchen scrapes. I would love any help I can get on having an amazing garden this year. It would improve the quality of the food we grow. I have had a really hard time getting a garden to grow in our suburban yard. Maybe these seeds would help remedy that. Thanks for the great giveaway! I LOVE LOVE LOVE Heirloom seeds and do so appreciate non-GMO seeds! I can’t wait til spring to start playing in the dirt/garden! We have a big (half acre) garden in the city and go through an awful lot of seeds each year, so this contest would be very helpful, and I really like High Mowing Seeds, using them a lot. This would help me get the rest of my list…ran out of $$$. I might actually be able to get a garden going! Wonderful opportunity for the garden expansion. This kit would give me great motivation to try my hand at gardening once again! I am in a small town and we have very little variety available to us.. it would open up a whole new world to our garden. I was looking for a Seed company that had non-GMO, Heirloom seeds. What perfect timing! I am impressed that they were willing to sign a pledge to provide the quality of seeds needed to help get us all back to a healthier way of life. Even more impressed that they were involved in implementing the group of seed “sellers” who would also sign the pledge. I applaud y’all! I really like their selection of heirloom seeds. Among other seeds, I know I want kale and pie pumpkin seeds. This would give me the jumpstart and motivation I need to get a garden going even though we don’t have a huge house or yard! Late winter is my busiest time at work, any help I can get kick starting my garden is greatly appreciated. Every year I expand my garden a little more and preserve as much as possible. I love High Mowing Seeds! I love to be able to eat what we grow! Thanks for the chance to win. I’m already a faithful customer of High Mowing and have had great success with their seeds too. Winning would help to expand my gardens even more abd grow more food for my family. Can’t wait for spring to see some green again! Im looking forward to giving these a try! I’m trying to switch to organic gardening and this would be a great start! Winning this would help me start a garden so that I can make my own baby food for my 5 month old! I’ve wanted to grow my own food for a couple of years now, but I’m not very good with plants. I rely on my husband to care for any plants we have, and this would give him motivation to bring my dream to fruition! We moved into our house 2 years ago and have never had the time to start a garden. We have been able to start slowing getting things ready for the Spring to plant a garden. This would help tremendously to make that process easier! Thanks! I would love to have these seeds! I started my first garden last year and my 3 boys loved it! Watching things grow and being able to help made them want to try new vegetables too. It is also really expensive feeding three boys organic so I really need to grow some of my own food, plus it is so much better for them! These seeds are great! The best out of the ones i tried. It would help with the expense of growing the large garden we plan to grow this year! Living in an appartment makes growing things a bit difficult, maybe this will give me some good ideas. As the main gardener for a community garden in a VERY low income, urban neighborhood, this would help make my life just a bit easier this season! This year I’m starting my first garden EVER and I need all the help I can get! I’ve got high hopes for it feeding us all summer. I would really love to start planting more varieties of cabbage and beans, so this giveaway is perfect for my goals! this year I am expanding both my herb garden and my vegetable garden so the more seeds and the more supplies I have the more I will be able to grow. This site is wonderful. I would love to win some seeds. I have been wanting to try sprouting seeds and this would be a great push. Thank you. I love growing the food I eat and non GMO is very important to me! Winning would be amazing b/c it would allow me to buy seeds that I otherwise couldn’t afford. It would help me add variety to my standard tomato pepper garden that I have. I would have the opportunity to try different varieties to see what works here. I have a rather difficult gardening situation so I need to experiment. Very excited about this giveaway! Thanks! This would help me get more seeds started indoors so I can start earlier. Thanksfor the great opportunity dear Andrea. I would love to win this as we only eat organic food. And being vegetarian, it becomes hard to find few veggies I love. This would make my life a little easier. I love to cook, and this will make my table healthy, organic and home grown. I live in a high altitude environment with lots of deer. One thing I really miss is gardening. I was very excited to see the container gardening kit at High Mowing Seeds. It gave me hope that I can garden again and enjoy the fruits (and vegetables) of my labor! I have changed to all organic and winning this would give me a good start to this year of growing my own. Would love to begin growing my own organic vegetable. We are attempting to do an ediblie landscape this year. This starter kit would be perfect! I am working on starting a big organic/heirloom garden. This would help me get started. I want to grow my family fresh organic produce. I plan to can the surplus. I have chickens that I also want to be able to feed with home grown produce. High Mowing seeds are what we’ve been using since we discovered them two yrs. ago. I will only use organic seeds. You get SO much better quality and taste with them. If I won this, I wouldn’t have to decide which produce I wanted; I could, and would, choose all that I wanted. This is a great prize! I could start my first garden that is not in containers this year. I like looking at the pictures in the catalog of staff members growing the plants that make the seeds! It makes buying the wonderful seeds even more rewarding to know I have supported the end product of their labors toward providing GMO free selections! I don’t want GMO’s to MODIFY ME! I make soap, so having a start on an herb garden would provide me with more natural products to use in it. with a family of 9 I need all the help getting more food as I can! Love High Mowing Seeds and look forward to when their catalog arrives in the mail! Since I haven’t bought any seeds yet it would get me started on my spring garden. Great way to replenish seed stocks! I feel like this could give me a nice way to really get some plants in the ground. This year I have decided to be a real gardener 🙂 and would love the book to help me on my way. I would like to win this to get my own garden going. I am really hoping to get organic and fresh this year. Although I’ve planted gardens in the past, they’ve been rather “hit and miss”. With good products and excellent information, I may actually have a harvest! umm, I got a little overexcited buying seeds and definitely need more trays (um, and more seeds!). This would tremendously help me get started with my garden this year! 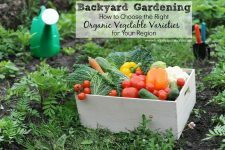 I have always dreamed of growing organic vegetable for my family to eat fresh and to can – to can enough for the year until the next year’s garden! I’m planning my NEW garden now and the timing of this would be FANTASTICAL! I have tried a handful of times to start a garden, and my seedlings would get overwatered or not have enough sun and be spindly, or the dogs would run through the garden and ruin things, or living in Las Vegas it just wasn’t possible to grow anything in the crazy heat. I am determined to get a garden growing this year and learn all I can from anyone who will talk to me about it. I’m looking forward to it. Have never planted a garden b4, being from a city, but have wanted to garden my own organic foods and I now live outside the city and can’t wait to start. It’s hard to find organic seeds in my area so I would love to win this! This would be a perfect kick start in our garden, it’s been way too cold this year! Just ordered our spring vegetables and summer seeds from HMOS, but, with a limited budget, could not afford to order potatoes, too. We would love to win, to put the gift card towards buying High Mowing Organic Seeds’ beautiful potatoes! I love this giveaway!!! I reuse everything from year to year, so this giveaway would allow me to get rid of some of my broken and cracked seed trays, and to refresh my stock of seeds. I’ve been wanting to start a garden, and having just moved into our own place this would be a great way to get a start on it! It would be so wonderful to get my kids involved. They all love veggies, and this would only grow their appreciation of the goodness we can produce right in our own backyard! This will be my first summer of growing fresh veggies and herbs, and I am very overwhelmed at this point so any help I can get would be great! I want to use heirloom seeds or organic so this would be a great prize package for me!! Thanks for the chance to win!! This giveaway would help me teach my little kiddos about where food comes from and what’s involved. Also it would allow me to be able to have more fresh organic food available for them to eat. My son is a Boy Scout, and learning every day. He earns badges for things he learns, and he’s finding ways to fund his Eagle Scout project. He will sprout/grow his own seeds for one badge. Then we’ll grow them a bit more, and take our fresh, local, organic marketable herbs and greens (and maybe peppers) to the local farmers markets where he can be part of the community and perhaps earn a bit of money toward his Eagle Scout project. I can’t wait! Things have been particularly tight this year and I have been unable to place my seed order. This would be such a blessing! would love to be able to grow my own herbs. Winning this giveaway would make this possible. Thank you. This starter kit would be awesome! I just purchased my first home and I am starting a garden for the first time this year! I am a fairly new gardener with a lot to learn. I love being able to grow things that can feed my family! One year, I even had veges to share with friends! I would love to have a kit that would help me to expand my gardening efforts. Thank you very much for the chance to win a kit! Organic seeds would be a wonderful start to my 2014 garden. 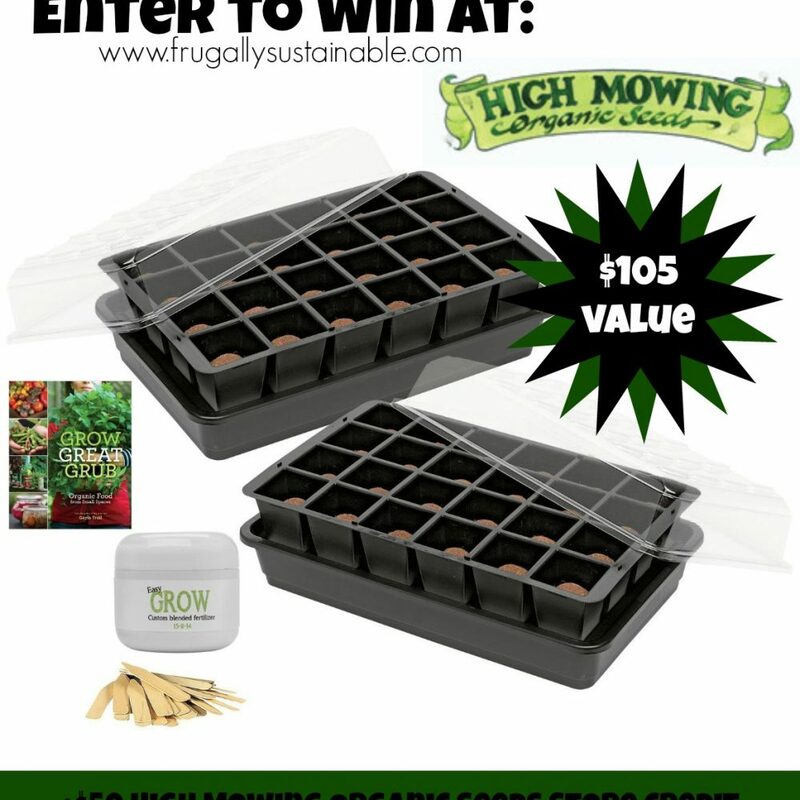 I am an experienced gardener and love high mowing seeds and would love to win this giveaway. I grow a small garden, but all organic. I am ready to grow my first garden this year! I have a large garden for vegetables,but I give more away than I use. This year I want to try layering plants, and replanting crops as the season progresses. I recently became aware of sprouts, and want to explore doing that when the big gardens are no longer producing. This all takes money, we all know that. This winter has been more challenging for people like my husband that work in construction. Below zero temperatures, huge snow cover, and flooding have all been issues. I love your site and will return. Our family goal is to eat healthy and spend more time together outside. Winning this would help us with both of those goals. I want to start eating more healthy; I’m only 32 but already have heart disease, which my father passed from recently. 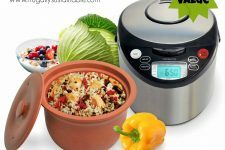 I’d use this to start working on growing more fruits and vegetables in my diet, and also to work on a new hobby which would be beneficial as well. Thanks so much for the opportunity, I adore this blog! I’d get back to basics: back to gardening and back to cooking yummy, wholesome food with my own fresh herbs and maybe veggies from a new container garden! I’ve read very complementary things about High Mowing Seeds, and would welcome this chance to plant them in our garden. We’ve been trying to grow more of our own food. Two years ago, we converted a good portion of the yard to a series of on-contour berms and swales. Plants have been loving it there! I’ve been container and square foot gardening since moving to California. I have not had much success with seeds (about 50/50 germination rate). I’d love to see if these seeds are better than the ones I get at the farmer’s market and the local OSH store. This would really help me go all organic because I noticed the non organic seed do not germinate as good. We’re getting ready to move so a portable way to start some growing would be great! I would love to be able to start a garden! I just got some starters going, but this would give me more to start. HERE comes spring. YEAH!! This would be an amazing way to get more organic & more sustainable at home! I LOVE gardening. What a great way to be self sustaining, And I find it so relaxing to be in my garden and experience the whole process. Thanks for the chance to win a great give away! Winning this great prize would help our family learn to eat more organically. Also. I would love to be able to use some of the flowers and herbs in my soaps and products … knowing that they would be organic/pure. Thanks for this opportunity and great new place to shop! We just moved to a new home and I have a large garden space. We don’t have a lot of money this year, so I really need the help to make my garden dream come true! Thanks for the giveaway! winning would help me get more supplies for the preschool teaching gardening i’m building to garden with my home based preschool and teach other child care providers to garden with their kids! Now that I’m a parent I have tried my best to provide my child with organic foods. This will help with teaching her how to garden starting with seeds. I have tried in the past and struggle with it. I feel this company will help me start my garden from seeds while providing an organic diet for my family. Thank You! Yay! I wanna grow my own veggies. It’s that time again! I’m so excited to grow some herbs and vegetables. Hopefully I can successfully grow a couple of odd varieties. Live in Mohave Valley, AZ. Prior attempts to grow anything but cactuses have failed. We are starting from scratch and the money is super tight- this would give us a great start on herbs and veggies we can enjoy. would love to try growing organic seeds and saving them. It would help to start my summer planting. I would be able to grow more herbs. It would be really helpful to have good quality seeds to start with as I work on getting my production up. We have a really short growing season so any boost is helpful as I am learning my away around our climate. we have some stored food and water but no renewable sources. this would help immensely for our family of 7. It would help us expand our garden. I am going to start tilling the ground next month! Making raised beds too! This would be awesome to start helping with what I will be growing!!! I love to garden and start my seeds indoors every year. I would love to win this giveaway. I could always use more seeds and or equipment to start my seeds! High Mowing Farm is the best seed company. We are gardening in hopes to start providing most of our own fresh produce. What we cannot eat this summer and fall will be preserved for the winter months. We just love fresh produce and this would help us cut our grocery bill in half if we can get our gardens thriving. definitely getting the itch to get out and plant… we’ve been growing veggies only the last few years, but what a different it is to just walk out the door and harvest your salad. I would love to have a veggie garden this year to help heal my body, mind and wallet. It would save me a ton of money on my garden this year and ensure that I’m planting high quality organic veggies and herbs! We had a very small garden last year due to lack of funds to do more. THis year I want to expand our garden and this prize would really help us make that a reality! I am on a fixed income and this will help me purchase seeds that I would otherwise be unable to. 🙂 Thank-you for this generous offer! I would love to add organic herbs and flowers to my garden. Organic and homegrown is the way to go! This looks like so much fun! Spring is not coming soon enough in Wisconsin! This would be a great start to our spring gardening! My kids would enjoy planting with me! What a wonderful giveaway! Thanks for such wonderful articles on all different topics. We have been working toward finally getting to the point on our property to start a garden. This would be a wonderful way to start! This woudl give my husband and I the ability to eat more organic vegetables. This would help tremendously as I have a garden all set up but have been putting off ordering seeds as money is tight this year as it’s all going into the oil burner. Thanks for a great giveaway! I’m trying to go all organic and heirloom so I can save my own seeds. This would be a wonderful addition to my garden. It would help me get started on a container vegetable and herb garden. fantastic giveaway! Would love to have the seeds! We have been changing our diets and improving our health choices over the last few years. Both my husband and I have health issues that also affect our family around us. We have grown a garden for years but with the cost of seeds, supplies and our water rates increasing more each yr it’s hard to afford to grow a variety of foods. We do buy heirloom seeds and they are costly. Winning this prize would help us also help our daughter’s family with growing a healthy garden. They just started this last season and we were helping them get started. Our 4 yr old grandson helped there and with ours gardens and just loves it. We were able to set aside some of the seeds from that season that he helped with and he will be planting them to start their garden. We will be able to give a gift that will stay with him and hopefully as he grows he can continue on with growing his own. Thank you for providing this post on how to sign up for the giveaway. It looks like a great chance to win some amazing items. I am always looking for ways to improve my garden, heading towards becoming more self sufficient, and this looks like an excellent way. Home-grown food is the best! I would love the win this package so that we could be one step closer to being ensured that the food we eat is organic and I wouldn’t have to rely on my local grocery store which has a very limited supply of organic offerings. Winning would help me to have a better quality seed this year. I have been working on bettering and bettering my crops each year. Thank you for the opportunity to win! I would be able to start my very first home garden and would be able to grow some herbs and vegetables that I could eat and share with my family. I’m sorry but I can’t seem to find the winner of this. Is it posted in the comments? Cant find the winner either. I hope someone wins this!